In our molding department, we produce regular injection, structural foam and structural foam counter-pressure parts. Our high pressure injection equipment ranges in size from machines with 55 ton - 2 ounce to 1500 ton - 265 ounce capacity. Most of these machines are equipped with process controllers. Our structural foam machine can produce parts up to 35 lbs. each. SEIMAG : 385 Metric Ton, Double Barrels, 35lbs. and 20lbs. 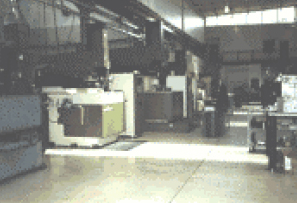 *All High Pressure Machines are capable of molding structural foam parts as needed. Avedon maintains a constant supply of raw materials through our ability to dehumidify 3,000lbs. of raw material per hour, from either the material stored in our warehouse or the material stored in plant silos.